Providing you the best range of cup cake boxes, cup cake boxes for cake shops and bakeries, cup cake boxes in recycled papers, custom printed cup cake boxes, custom printed cup cake boxes in various sizes and custom printed cup cake window boxes with effective & timely delivery. We are also manufacturing cup cake boxes for individual cup cakes. Colorful paper cup cake boxes available in a large range sizes and paper qualities. Cake boxes are also available in decorative papers with windows. We manufacture a large range of cake boxes in varying sizes. We make decorative cake /pastry boxes with ribbon ties and flower embellishments. Cake boxes are also available in kraft paper with logo printing as per your requirements. We are also manufacturing cake boxes using metallic papers. Cake boxes are available in a large range of assorted sizes with custom prints. We manufacture a large range of cake / pastry boxes available with windows in striped paper designs we manufacture a range of custom printed cake boxes or pastry boxes that are available with ribbon ties. We also make a large range of customized pastry boxes with embellishments that can be handed over during marriage ceremonies. We manufacture a large range of cake/ pastry boxes made in beautiful screen printed handmade papers, these boxes can be logo printed as per your requirements. Our cake boxes are made for 250/500/1 kg , 2 kg and higher volume cakes. Our cake boxes are also available in art paper, kraft paper and handmade paper. We also manufacture cake boxes in different shapes and sizes and custom colors and prints. Our cake boxes are made with inner sides laminated so that the food content, stays in side the box. Plain paper cup cake boxes in a wide variety of sizes. Printed paper cup cake boxes available in a large variety of sizes. Plain colored cup cake boxes available in a large assortment of colors, and shapes. 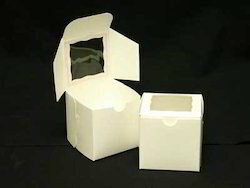 Cup cake boxes are also available with inserts and with window on box. Cup cake boxes are available in a variety of colors with windows on topswe also manufacture a large range of cup cake boxes for individual cup cakes. We are manufacturing a large range of cup cake boxes our cup cake boxes are available in a variety of colors, finishes, sizes and shapes. We can also print logos on the boxes. 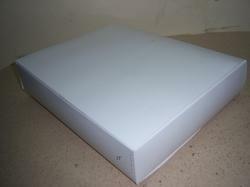 We have a large range of papers available that can be used to make cup cake boxes. Cup cake boxes are also available with ribbon ties. Cup cake boxes are also available in screen printed handmade papers. We are also making cup cake boxes in metallic papers. Cup cake boxes are available in plain colored papers also cake boxes are also available with cup cake holders inside. We also make individual cup cake boxes also. cup cake boxes are also available with inserts. Custom Design Patterned Cake Boxes with Windows. Striped Paper Boxes with Window for packaging Cakes and Pastries. Custom Pastry Boxes for Giving Out Wedding Cakes available in a large assortment of designs. Silver Paper Boxes for Packaging of Cakes and Pastries in various sizes. Screen Printed Paper Boxes for Packaging of Cakes and Pastries. Colored Paper Boxes for Packaging for Cakes and Pastries which can be tied with the Use of Ribbons. Folding Paper Boxes made in a variety of Paper Qualities for packaging of cakes .. Kraft Paper Boxes in various sizes for Packaging for Cakes. Gold Paper Cake Boxes can be made available with Single Logo Color Prints also..Large Range of Cake Boxes available on Decorative Paper in different shapes and sizes Window Cup Cake Boxes with Screen Printed Papers, available in a wide variety of sizes. We are also manufacturing Cup Cake Boxes for Individual Cup Cakes. Colorful Paper Cup Cake Boxes available in a large range Sizes and Paper Qualities. 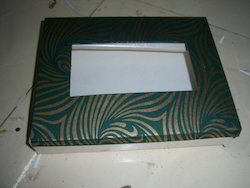 Cake Boxes are also available in Decorative Papers with Windows. We manufacture a large range of Cake Boxes in Varying Sizes. We make Decorative Cake / Pastry Boxes with Ribbon Ties and Flower Embellishments. Cake Boxes are also available In Kraft Paper with Logo Printing as per your requirements.We are also manufacturing Cake Boxes using Metallic Papers.Cake Boxes are available in a large range of Assorted Sizes with Custom Prints.We manufacture a large range of Cake / Pastry Boxes available with Windows in Striped Paper Designs We manufacture a range of Custom Printed Cake Boxes or Pastry Boxes that are available with Ribbon Ties. We also make a large range of Customized Pastry Boxes with Embellishments that can be handed over during marriage ceremonies. We manufacture a large range of Cake/ Pastry Boxes made in Beautiful Screen Printed Handmade Papers, these boxes can be logo printed as per your requirements.. Our Cake Boxes are made for 250/500/1 kg , 2 Kg and higher volume Cakes.. Our Cake Boxes are also available in Art Paper, Kraft Paper and Handmade Paper. We also manufacture Cake Boxes in different Shapes and Sizes and Custom colors and Prints. Our Cake Boxes are made with Inner Sides Laminated so that the Food Content, stays in side the box. Screen printed cake boxes available in a wide assortment of designs, patterns and prints. foil printed folding paper cake boxes. 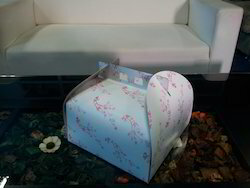 custom design patterned cake boxes with windows. Striped paper boxes with window for packaging cakes and pastries. Custom pastry boxes for giving out wedding cakes available in a large assortment of designs. 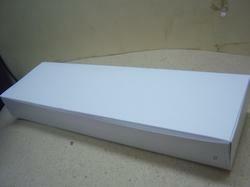 Silver paper boxes for packaging of cakes and pastries in various sizes. Screen printed paper boxes for packaging of cakes and pastries. Colored paper boxes for packaging for cakes and pastries which can be tied with the use of ribbons. Folding paper boxes made in a variety of paper qualities for packaging of cakes . . Kraft paper boxes in various sizes for packaging for cakes. Gold paper cake boxes can be made available with single logo color prints also. . Large range of cake boxes available on decorative paper in different shapes and sizes window cup cake boxes with screen printed papers, available in a wide variety of sizes. We are also manufacturing cup cake boxes for individual cup cakes. Colorful paper cup cake boxes available in a large range sizes and paper qualities. 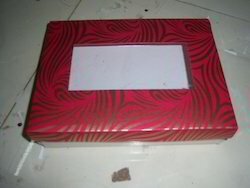 Cake boxes are also available in decorative papers with windows. We manufacture a large range of cake boxes in varying sizes. We make decorative cake / pastry boxes with ribbon ties and flower embellishments. Cake boxes are also available in kraft paper with logo printing as per your requirements. 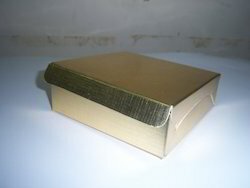 We are also manufacturing cake boxes using metallic papers. Cake boxes are available in a large range of assorted sizes with custom prints. We manufacture a large range of cake / pastry boxes available with windows in striped paper designs we manufacture a range of custom printed cake boxes or pastry boxes that are available with ribbon ties. We also make a large range of customized pastry boxes with embellishments that can be handed over during marriage ceremonies. We manufacture a large range of cake/ pastry boxes made in beautiful screen printed handmade papers, these boxes can be logo printed as per your requirements. . Our cake boxes are made for 250/500/1 kg , 2 kg and higher volume cakes. . Our cake boxes are also available in art paper, kraft paper and handmade paper. We also manufacture cake boxes in different shapes and sizes and custom colors and prints. Our cake boxes are made with inner sides laminated so that the food content, stays in side the box. Custom Printed Paper Boxes with Windows for Cup Cakes Striped Paper Boxes for Keeping Cup Cakes available with Window.. Decorative Paper Boxes for Cup Cakes, available in a large variety of styles. Silver color Paper Cake Boxes available in a large assortment of sizes. Screen Printed Paper Cup Cake Boxes available in a wide Variety of Colors. Colored Paper Cup Cake Boxes available with Ribbon Ties. Plain Paper Cup Cake Boxes in a wide variety of sizes. Printed Paper Cup Cake Boxes available in a large variety of Sizes. Plain colored Cup Cake Boxes available In a large assortment of colors, and shapes.Cup Cake boxes are also available with Inserts and with Window on Box. Cup Cake Boxes are available in a variety of colors with Windows on TopsWe also manufacture a large range of Cup Cake Boxes for individual Cup Cakes. We are manufacturing a large range of Cup cake Boxes Our Cup Cake Boxes are available in a variety of Colors, finishes, Sizes and Shapes. We can also print logos on the boxes.We have a large range of Papers Available that can be used to make Cup Cake Boxes. 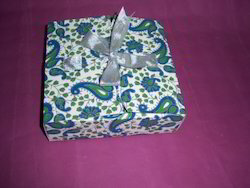 Cup Cake Boxes are also available with Ribbon ties.Cup Cake Boxes are also available in Screen Printed Handmade Papers. We are also making Cup Cake Boxes in Metallic Papers. Cup Cake Boxes are available in Plain Colored Papers also.Cup Cake Boxes are also available with Cup Cake Holders Inside. We also make Individual Cup Cake Boxes also.,Cup Cake Boxes are also available with Inserts. Plain paper cup cake boxes in a wide variety of sizes. Printed paper cup cake boxes available in a large variety of sizes. Plain colored cup cake boxes available in a large assortment of colors, and shapes. Cup cake boxes are also available with inserts and with window on box. Cup cake boxes are available in a variety of colors with windows on topswe also manufacture a large range of cup cake boxes for individual cup cakes. We are manufacturing a large range of cup cake boxes our cup cake boxes are available in a variety of colors, finishes, sizes and shapes. We can also print logos on the boxes. We have a large range of papers available that can be used to make cup cake boxes. Cup cake boxes are also available with ribbon ties. Cup cake boxes are also available in screen printed handmade papers. We are also making cup cake boxes in metallic papers. Cup cake boxes are available in plain colored papers also. Cup cake boxes are also available with cup cake holders inside. We also make individual cup cake boxes also. , cup cake boxes are also available with inserts. Kraft paper boxes for cup cakes available with logo printing and without logo printing. Textured metallic paper boxes for cup cakes available with inserts screen printed paper boxes in various sizes for packaging cup cakes. Foil printed paper boxes for cup cakes. Custom printed paper boxes with windows for cup cakes striped paper boxes for keeping cup cakes available with window. Decorative paper boxes for cup cakes, available in a large variety of styles. Silver color paper cake boxes available in a large assortment of sizes. Screen printed paper cup cake boxes available in a wide variety of colors. Colored paper cup cake boxes available with ribbon ties. Plain paper cup cake boxes in a wide variety of sizes. Printed paper cup cake boxes available in a large variety of sizes. Plain colored cup cake boxes available in a large assortment of colors, and shapes. Cup cake boxes are also available with inserts and with window on box. Cup cake boxes are available in a variety of colors with windows on tops we also manufacture a large range of cup cake boxes for individual cup cakes. We are manufacturing a large range of cup cake boxes our cup cake boxes are available in a variety of colors, finishes, sizes and shapes. We can also print logos on the boxes. We have a large range of papers available that can be used to make cup cake boxes. Cup cake boxes are also available with ribbon ties. Cup cake boxes are also available in screen printed handmade papers. We are also making cup cake boxes in metallic papers. Cup cake boxes are available in plain colored papers also. Cup cake boxes are also available with cup cake holders inside. We also make individual cup cake boxes also. ,cup cake boxes are also available with inserts. Screen printed paper boxes for packaging of cakes and pastries. 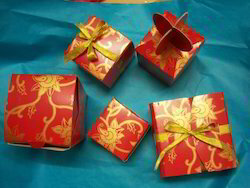 Colored paper boxes for packaging for cakes and pastries which can be tied with the use of ribbons. Folding paper boxes made in a variety of paper qualities for packaging of cakes. Kraft paper boxes in various sizes for packaging for cakes. Gold paper cake boxes can be made available with single logo color prints also. Large range of cake boxes available on decorative paper in different shapes and sizes window cup cake boxes with screen printed papers, available in a wide variety of sizes. We are also manufacturing cup cake boxes for individual cup cakes. Colorful paper cup cake boxes available in a large range sizes and paper qualities. Cake boxes are also available in decorative papers with windows. We manufacture a large range of cake boxes in varying sizes. We make decorative cake / pastry boxes with ribbon ties and flower embellishments. Cake boxes are also available in kraft paper with logo printing as per your requirements. We are also manufacturing cake boxes using metallic papers. Cake boxes are available in a large range of assorted sizes with custom prints. We manufacture a large range of cake / pastry boxes available with windows in striped paper designs we manufacture a range of custom printed cake boxes or pastry boxes that are available with ribbon ties. We also make a large range of customized pastry boxes with embellishments that can be handed over during marriage ceremonies. We manufacture a large range of cake/ pastry boxes made in beautiful screen printed handmade papers, these boxes can be logo printed as per your requirements. Our cake boxes are made for 250/500/1 kg, 2 kg and higher volume cakes. Our cake boxes are also available in art paper, kraft paper and handmade paper. We also manufacture cake boxes in different shapes and sizes and custom colors and prints. Our cake boxes are made with inner sides laminated so that the food content, stays in side the box. Take Away Boxes for Cup Cakes with Custom Prints. Kraft Paper Boxes in Various Sizes for Keepting Cup Cakes Single Cup Cake Boxes with Ribbon Embellishments available in various Color Options Kraft Paper Boxes for Cup Cakes available with Logo Printing and Without Logo Printing. Textured Metallic Paper Boxes for Cup Cakes available with Inserts Screen Printed Paper Boxes in various sizes For Packaging Cup Cakes. 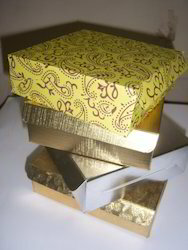 Foil Printed Paper Boxes for Cup Cakes. Custom Printed Paper Boxes with Windows for Cup Cakes Striped Paper Boxes for Keeping Cup Cakes available with Window.. Decorative Paper Boxes for Cup Cakes, available in a large variety of styles. Silver color Paper Cake Boxes available in a large assortment of sizes. Screen Printed Paper Cup Cake Boxes available in a wide Variety of Colors. Colored Paper Cup Cake Boxes available with Ribbon Ties. Plain Paper Cup Cake Boxes in a wide variety of sizes. Printed Paper Cup Cake Boxes available in a large variety of Sizes. Plain colored Cup Cake Boxes available In a large assortment of colors, and shapes.Cup Cake boxes are also available with Inserts and with Window on Box. Cup Cake Boxes are available in a variety of colors with Windows on TopsWe also manufacture a large range of Cup Cake Boxes for individual Cup Cakes. We are manufacturing a large range of Cup cake Boxes Our Cup Cake Boxes are available in a variety of Colors, finishes, Sizes and Shapes. We can also print logos on the boxes.We have a large range of Papers Available that can be used to make Cup Cake Boxes. Cup Cake Boxes are also available with Ribbon ties.Cup Cake Boxes are also available in Screen Printed Handmade Papers. We are also making Cup Cake Boxes in Metallic Papers. Cup Cake Boxes are available in Plain Colored Papers also.Cup Cake Boxes are also available with Cup Cake Holders Inside. We also make Individual Cup Cake Boxes also.,Cup Cake Boxes are also available with Inserts. Textured Metallic Paper Boxes for Cup Cakes available with Inserts Screen Printed Paper Boxes in various sizes For Packaging Cup Cakes. Foil Printed Paper Boxes for Cup Cakes. Custom Printed Paper Boxes with Windows for Cup Cakes Striped Paper Boxes for Keeping Cup Cakes available with Window.. Decorative Paper Boxes for Cup Cakes, available in a large variety of styles. Silver color Paper Cake Boxes available in a large assortment of sizes. Screen Printed Paper Cup Cake Boxes available in a wide Variety of Colors. Colored Paper Cup Cake Boxes available with Ribbon Ties. Plain Paper Cup Cake Boxes in a wide variety of sizes. Printed Paper Cup Cake Boxes available in a large variety of Sizes. Plain colored Cup Cake Boxes available In a large assortment of colors, and shapes.Cup Cake boxes are also available with Inserts and with Window on Box. Cup Cake Boxes are available in a variety of colors with Windows on TopsWe also manufacture a large range of Cup Cake Boxes for individual Cup Cakes. We are manufacturing a large range of Cup cake Boxes Our Cup Cake Boxes are available in a variety of Colors, finishes, Sizes and Shapes. We can also print logos on the boxes.We have a large range of Papers Available that can be used to make Cup Cake Boxes. Cup Cake Boxes are also available with Ribbon ties.Cup Cake Boxes are also available in Screen Printed Handmade Papers. We are also making Cup Cake Boxes in Metallic Papers. Cup Cake Boxes are available in Plain Colored Papers also.Cup Cake Boxes are also available with Cup Cake Holders Inside. 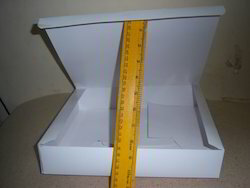 We also make Individual Cup Cake Boxes also.,Cup Cake Boxes are also available with Inserts. Looking for Cup Cake Boxes ?